In 1989, Joy lived six days’ walk from the nearest road and could only communicate through letters. Things are going to be very different during her second long-term stint with BMS World Mission in Nepal. Get to know her and her fascinating story in our Q&A! 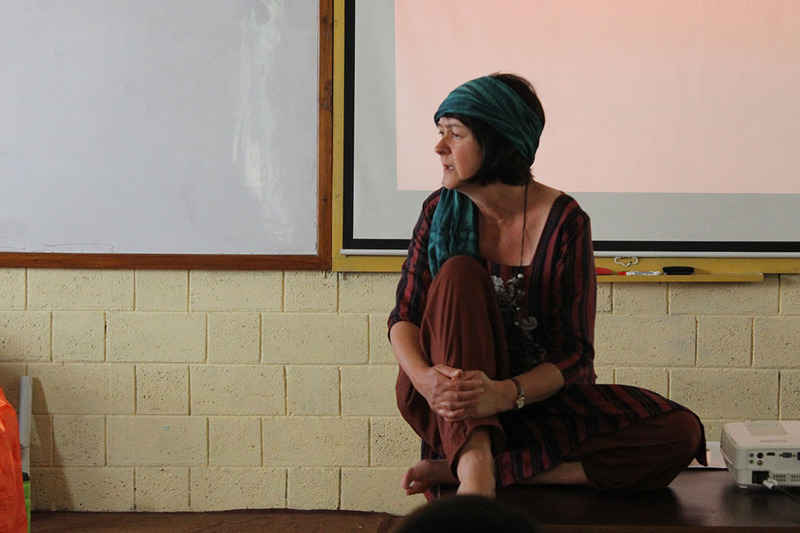 It’s almost thirty years since Joy Ransom first boarded a plane to Nepal to teach with BMS. Now, God’s called her back. She flies on Tuesday 28 August, arrives in Tansen (her new home) on Friday 31 and begins teaching on Monday 3 September – talk about hitting the ground running! The next two weeks are going to be an absolute whirlwind for Joy and she would love it if you would pray for her. But how rude of us… first you better get acquainted. 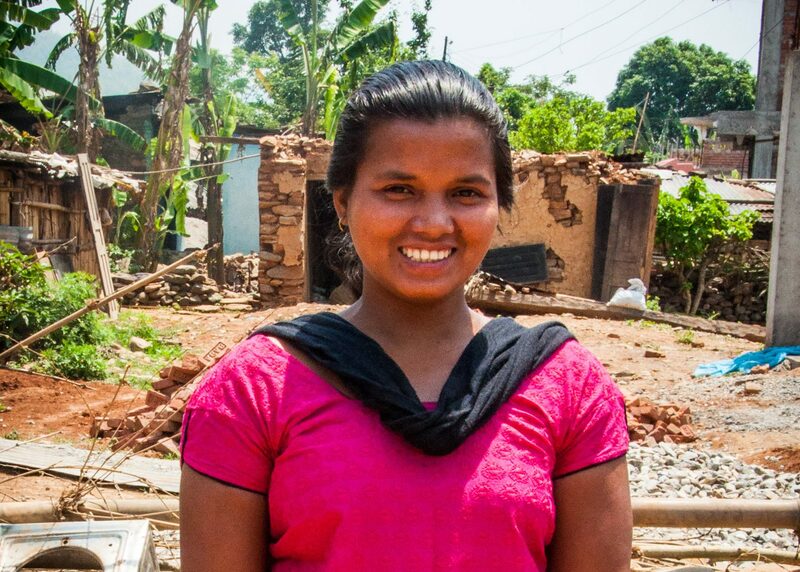 Joy is getting ready to move back to Nepal, where she'll be working as a teacher and making lots of new friends. You’re about to leave to serve long-term with BMS in Nepal, but this definitely isn’t your first rodeo. Tell me about when you’ve worked with us before. In 1989 I went to teach missionaries’ children in a very remote place called Okhaldhunga, in the east of Nepal. 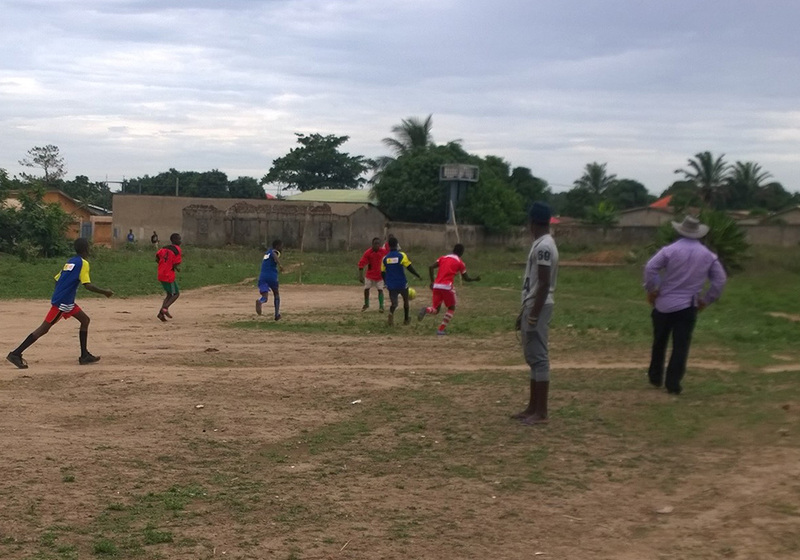 There was a hospital there, a community health project, a forestry project and non-formal education. I taught the children of the missionaries who were working there. I was there for five years, and at that time Okhaldhunga was very remote and the nearest road was six days’ walk away. We used to travel by plane, which only went twice a week, and in the monsoon it often didn’t fly at all because it was too cloudy. So it felt quite isolated. But there was a good community there as well. What was it like to live so remotely? It always felt like a lot of thought to leave, because you had to walk to the airstrip and that was about five hours away. So it wasn’t like you could just nip home again if the plane didn’t come. And in the monsoon it did feel quite cut-off. We had no radio, no telephone and no computer in those days, so it felt very different. I went back to Nepal with BMS as a volunteer in 2015, and I had the chance to go back to Okhaldhunga to visit. That’s the first time I’d been back in 20 years. Now they’ve built a road and you can actually get there by jeep or bus. It’s changed the place. It was lovely to be back there. How did you keep in touch with people? Through letters? Yes, through letters. But we only got mail when the planes came. Quite often I’d be in school with the tutorial group and we’d hear the plane overhead, and the children got very excited and so did I, because we’d think ‘oh yay, the plane’s come today, we might get mail from home.’ But some letters took three months to get to us. Joy previously served with BMS as a volunteer in Nepal in 2015, when she taught English to teachers. Tell me about your most memorable experience from that time? It was monsoon time and I needed to leave the project because it was the holidays and I’d just been in the village for such a long time. So a friend of mine, Florence (who was in her 60s), and I decided that we would walk out. There were no planes, because it was the middle of the monsoon. So we set out with a porter. 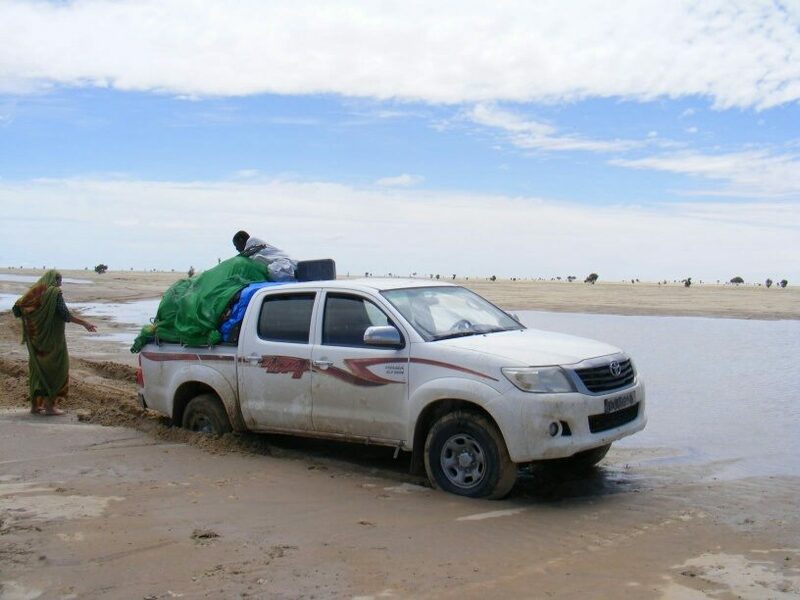 The first few days were fine, but then when we got further south the rivers were huge, and we ended up walking through flooded rivers really, full of grit and sand. Florence nearly got washed away – and the porter literally saved her life by helping her. Reaching out to her, holding her up, and then taking her across the river. 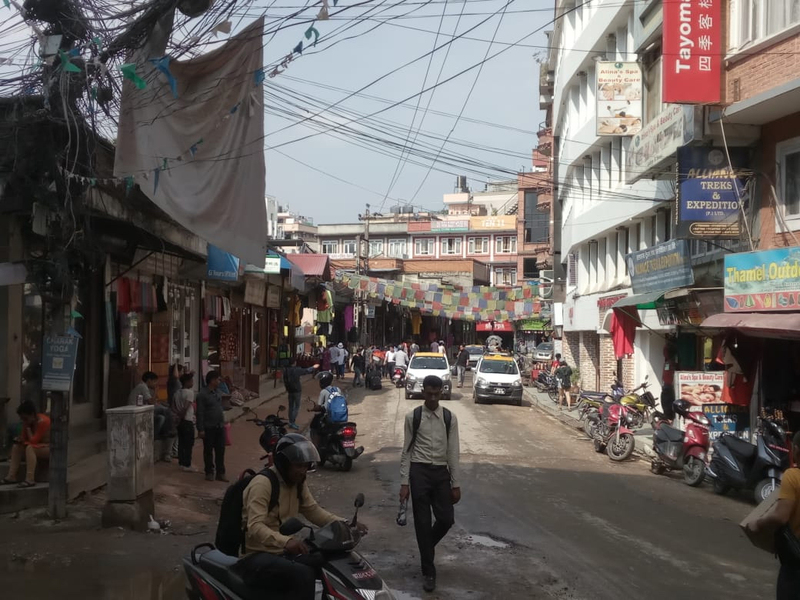 When we eventually got to the road, we still had a 12-hour bus journey to get to Kathmandu. Wow! It sounds like it’s going to be pretty different this time. 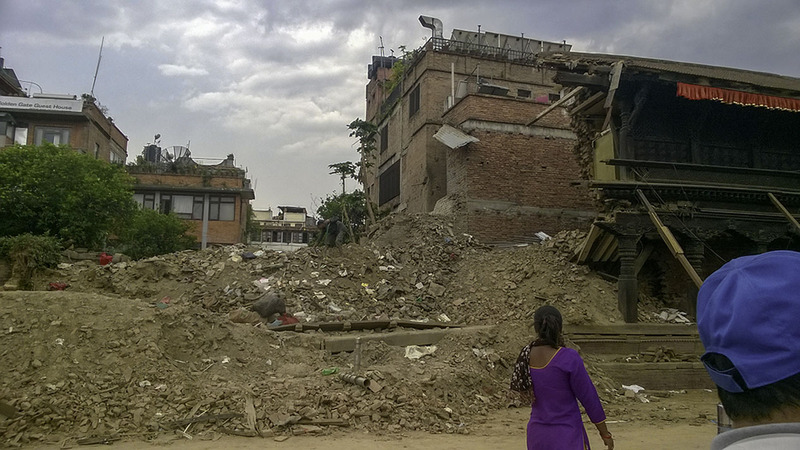 Why are you going back to Nepal? 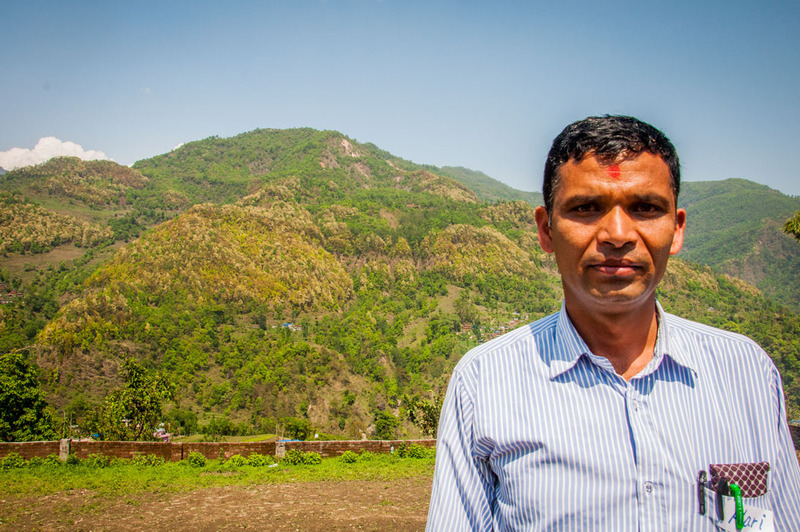 When I left in 1996 I felt that God had still got a work for me to do in Nepal. I had just adopted my daughter Bethany, and she was six months old when we came to the UK. I thought maybe she and I would live in the UK for a few years, and then when she was old enough, we would go back. But that didn’t happen. And although I kept asking God, ‘is it time to go back?’, it wasn’t. But then three years ago, Bethany was at university and so I applied to go as a volunteer. I thought I’d go for a year just to see what it’s like, because, having been there 20 years ago, I knew the country would have changed, but also I would have changed. So I thought it would be a good chance to see if there’s still a role for somebody like me, and if that was really what God wanted me to do. I built up relationships in the community and found that my Nepali language came back, and I felt very comfortable in Nepali church. So I felt like that was confirmation that I should explore the possibility of going back longer term. And maybe God did have a plan for me in Nepal. Joy with some of her students when she was teaching in Nepal in 2015. We're so thrilled that God has called her back there. We obviously agree! What are you going to be doing? For the first year I am going back to Tansen, to the same place and same role that I had three years ago. The teacher who took over from me has to go back to the US for a year, so they have a need for a teacher. 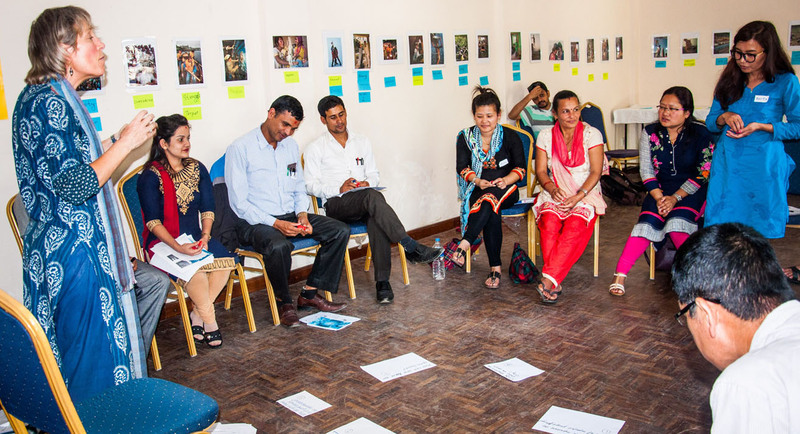 After that year, I am hopefully going to work with KISC EQUIP [the Kathmandu International Study Centre’s Education Quality Improvement Programme] doing some teacher training or mentoring of teachers in local Nepali schools in Lamjung, with Simon and Wendy Hall. This year I also have to complete my Master’s degree, because to get a visa in Nepal you need to have a Master’s. That’s what I’ve been working on this last year, but I still have the dissertation to write in Tansen. 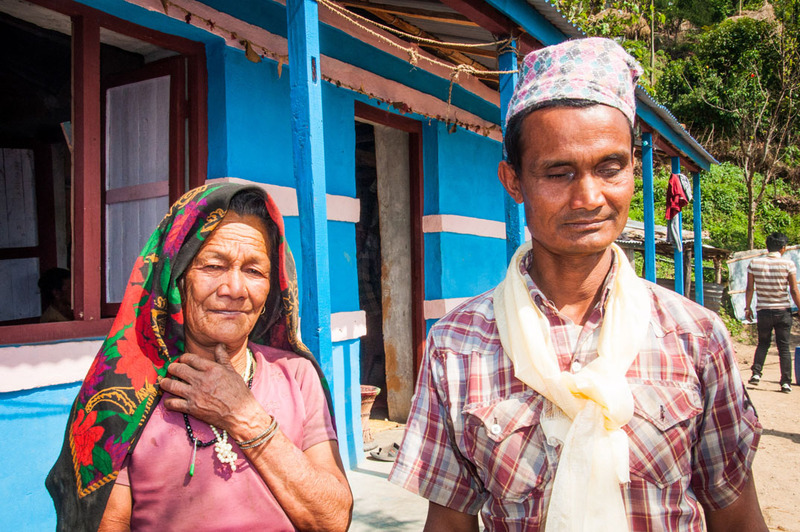 Is it fair to say you’ve left a bit of your heart in Nepal? Yes. I love Nepal. I love the people. What are you most excited about, about getting there? Meeting people again. The people that I made friends with last time. I used to walk every day along the same path from my house to where I worked at the school and there were lots of people who sat along the path, and we would chat every day. That was really nice. It’s the Church who are supporting me and sending me. We’re doing this together. 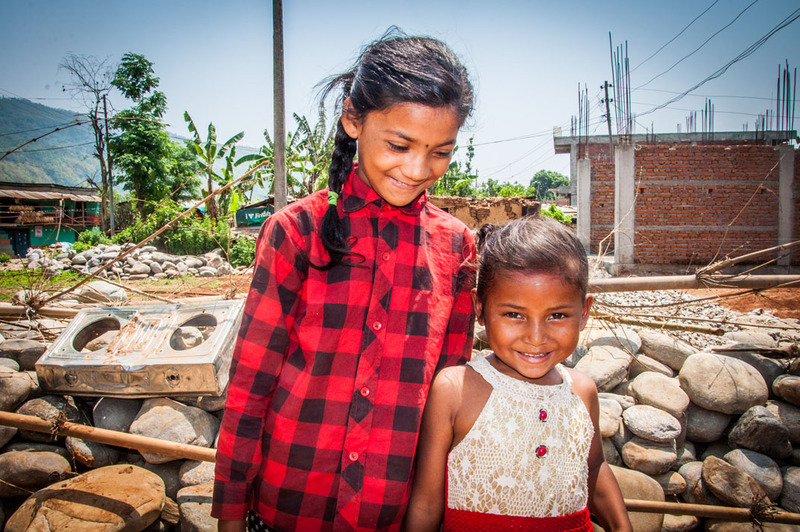 Joy is keen to get back to Nepal and see her friends again! We can’t wait to bring you more images of her serving there. Apart from family… I’ll miss having a bath. Would you like people in the UK to get behind you with prayer and donations? Yes! I believe that mission is a partnership, and although I get the opportunity to go to Nepal and hopefully have some skills and experiences that mean I can be useful there, it’s not just me going off on my own. It’s definitely the Church who are supporting me and sending me. We’re doing this together. And if I can pray for people here and they can pray for me then hopefully everything will be more effective. What’s the first thing you’ve packed in your suitcase? Family photographs and mosquito repellent! What can we be praying for? Please pray that in the next few weeks I get to know the children quickly, and their families. Pray too that I can support them and find out what their needs are. I feel the role of teaching the children of missionaries involves supporting the families too, because often parents feel guilty about taking their children away from their family and culture and peer support. Pray also that I can make a good start on the study for my Master’s dissertation, that I can choose a really good subject. And that with the internet and the time difference, I can still catch up with my tutor back here in Scotland. Settling in basically and making a good start. Two amazing couples. Two wonderful countries. Six incredible months. The latest from Team Lynch and Team Vokuhl. New friendships, hard work, lots of prayer and one very embarrassing language mix-up. These past few months have certainly been challenging and rewarding ones for BMS World Mission workers the Lynches and Vokuhls. 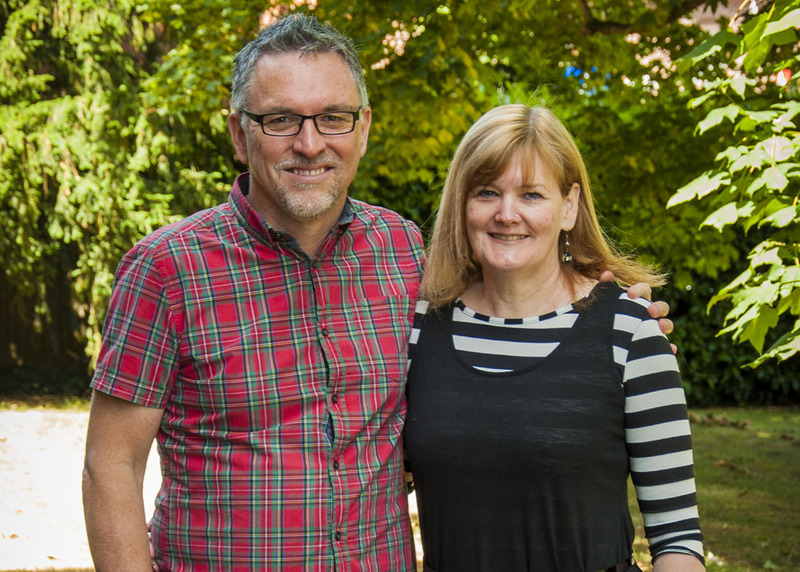 Louise and Peter Lynch are working with church leaders in Bangladesh, while Toby and Pippa Vokuhl are helping Nepal rebuild after the 2015 earthquakes. They couldn’t have got this far without your support so please read on for an update on their work. 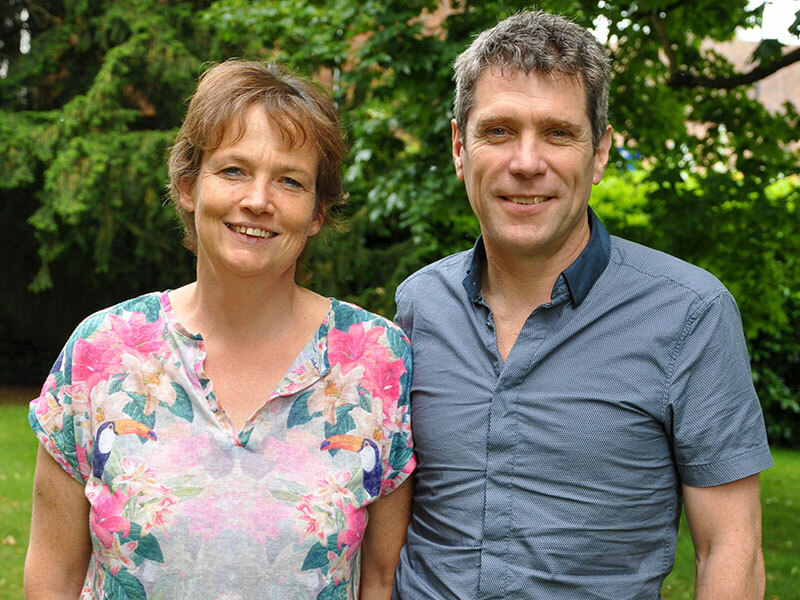 Louise and Peter Lynch are currently based in Dhaka, the capital city of Bangladesh. Tell us what it was like when you first arrived? Peter: It was a bit disorientating. We were tired, and we went straight into meeting people, being at church and getting our bearings. That was easier than going to bed though! The Proctors (BMS workers) were our chaperones for the first couple of weeks. They were really good, very kind to us. Louise: They took us shopping, showed us how to dress, helped us buy our clothes and showed us the supermarkets. It feels like we’ve settled in well. 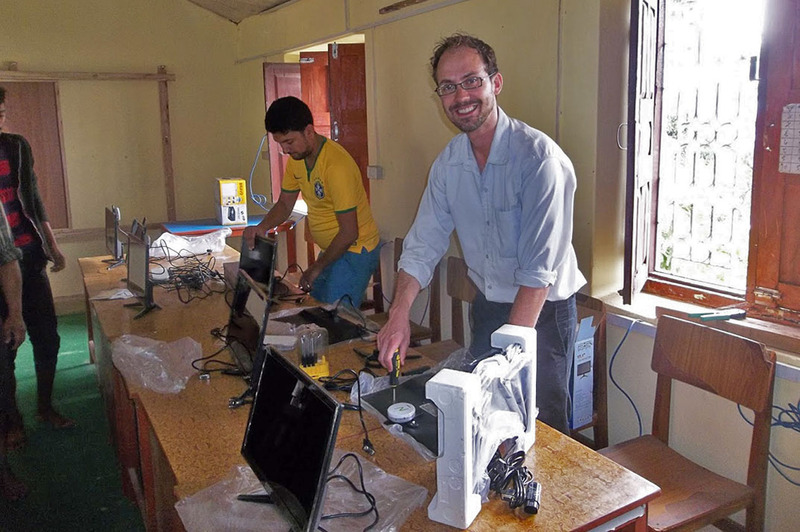 Toby: When we first arrived in Pokhara we were very warmly welcomed, which was great. Our housing situation was a little bit of a challenge because our flat was still under construction and we didn’t have a kitchen at all, so for two months we were living in a building site. We now find ourselves in what is a really lovely flat, not far from the children’s school. 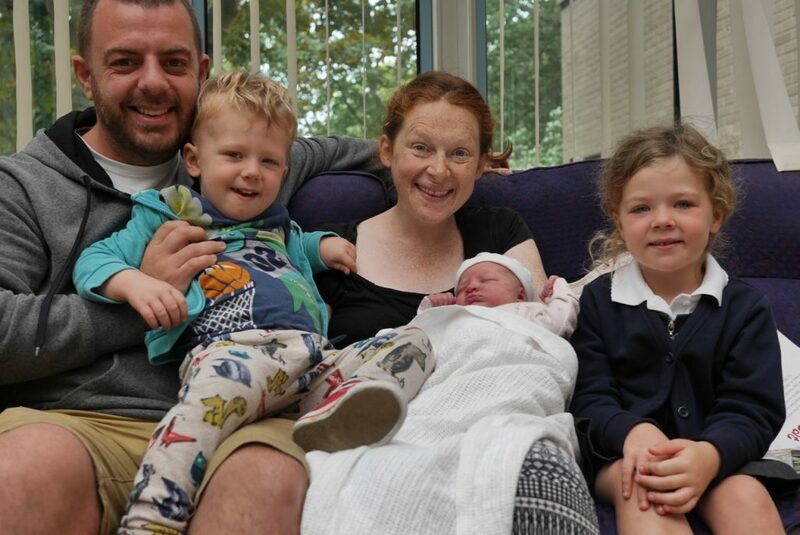 It’s worked out really well for us as a family with our children having friends nearby. How is the language learning going? Louise: We have completed three books, so we’ve finished the basic course. We’re given about 25 new words every day and we’ve learnt tenses we never knew about. So we’re doing our homework. We get most of right, but there is quite a lot of red ink on it most days too! The most useful phrases we’ve learnt so far are things like ‘kemôn achhen,’ which is ‘how are you?’ So we spend a lot of our time saying that, and ‘bhālō,’ which means ‘fine’, ‘āstē āstē,’ which means ‘slowly slowly’, and ‘ami janina,’ which is ‘I don’t know’, or ‘I don’t understand’. I think we are the entertainment sometimes, but sometimes you just have to go for it. People come along and they come and watch us trying to speak Bangla, and it is almost a sport! Peter: We make everyone laugh! People appreciate us trying because they’re very proud of their language and they love people trying to learn it. They’ve been great. Pippa: It’s hard work! We started off doing four mornings a week and we are just doing one or two now. It’s nice to have some basic conversations with friends and people at church, and the local shops, but we have a lot more hours of study ahead. I’ve had a few embarrassing moments. I went into a shop to try and ask for two kilos for carrots and I managed to ask for two kilos of marijuana. The poor shopkeeper looked extremely shocked and distressed, and then said in English, “Oh, you want carrots.” I mentioned it to my language teacher who pointed out what I’d asked for. Toby: Our landlady seems to think we are doing well settling in. The other day I could make out her saying to me in Nepali, “Toby, you’re so fat… your wife also.” I relayed that to Pippa, but in Nepali culture when you call someone fat you are just referring to how well they are doing. It was still rather funny! Louise: We just want to build relationships and understand the culture first before leaping in. We sat alongside pastors in some training for discipleship making, I think that’s an area where we’re looking to see how we can support them and help them to put their training into action in their churches. We’re going up to Dineshpur for a month soon, and we’ll be staying with some of the pastors who were on the training, so it’ll be interesting to see what they’re doing. Peter: We’ve met most of the key people we’ll be working with in Dhaka, and people from the districts have come here for conferences. It’s been great to meet pastors and regional leaders. We’re developing a really good relationship with them, they’ve been so gracious and welcoming to us. 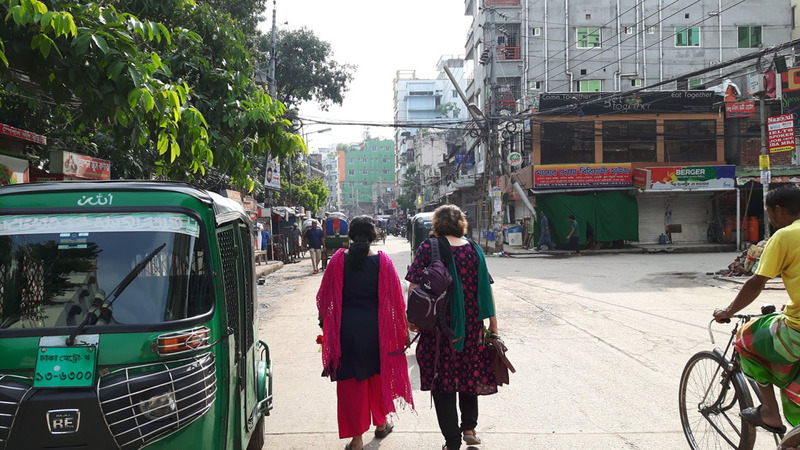 Everyone says to us that life outside of Dhaka is very different to life in Dhaka, so it will be great for us next month to just be outside of the capital and mix with the local community there. Pippa: Until recently, I’ve been doing language study and orientation, and at the moment our three children (Jakey, Ella and Millie) are on school holidays so that’s keeping me out of trouble. 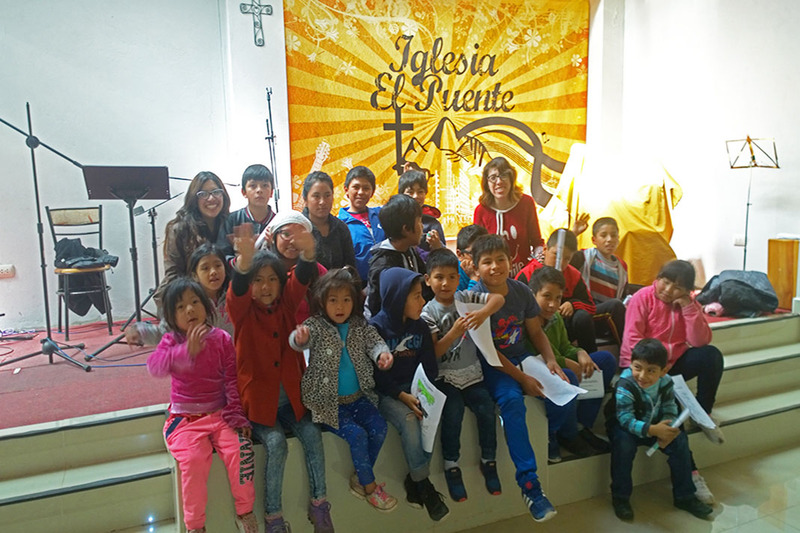 Toby: We were waiting for a work visa for quite some time, so we have focused quite heavily on language study, and we’ve also been attending the local church. We’ve had a slightly longer language and culture adjustment period than we expected, but it has helped, and we’re pleased to have moved into the space where I can contribute to the work here. Peter: I just enjoy the life and vitality of the city, everyone is so industrious and active, there’s so many people everywhere doing so many things. It’s an energetic, lively and colourful place. We love the people. Louise: We like walking around and we like the buzz of the place. 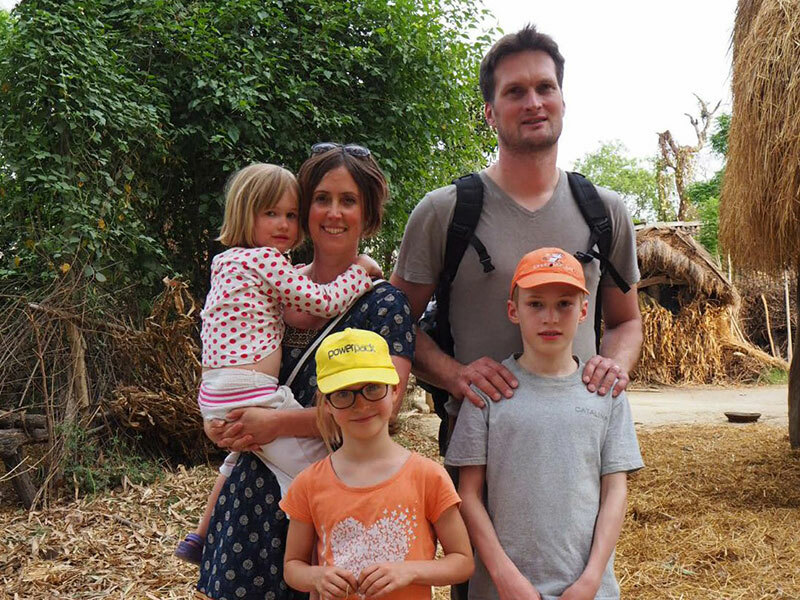 Pippa: We went as a family to have a look around some of the projects that INF (International Nepal Fellowship) is running in the west of the country in villages and hospitals. 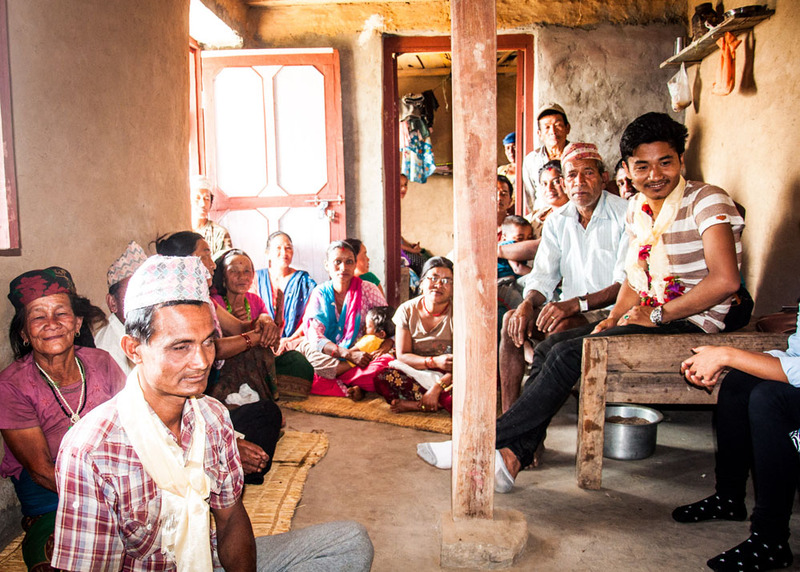 It was amazing to see some of the projects that are making a difference to the poorest of the poor in Nepal. Toby: There has been a wealth of experiences, such as being in a different culture and in a beautiful environment when you get out into the hills and mountains. Another highlight has been being able to make a difference through my work. That has been very rewarding. Peter: I think pacing ourselves has been difficult. It is hot, and you find yourself on certain days having lower energy. So, I think knowing how to pace yourself and how to navigate your way through that. Louise: It’s hard on your downtime because it’s not a recreational city. What to do when we’re not studying Bangla is the biggest challenge for us. But we’re enjoying Bangla learning, so it’s quite a win win really, as that’s what we spend most of our time doing. Toby: Not being able to communicate is disempowering, such as when you can’t say what you want to say to the local shopkeeper. Another challenge is finding your way around locally. 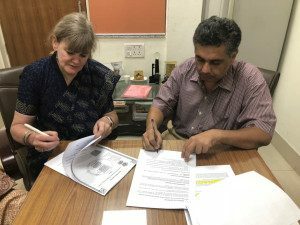 Louise: I think for next month, that we travel and stay well in Dineshpur, and that we make the most of that chance as it’s a really unique opportunity. Peter: We’re moving house at the beginning of September and we’re moving to an area that’s close to the office. So please pray for that process of moving and getting into a local community. Pray too for the church in Bangladesh. They’ve got big hearts and a big vision but it’s quite tough. So pray for them, that God would empower them. 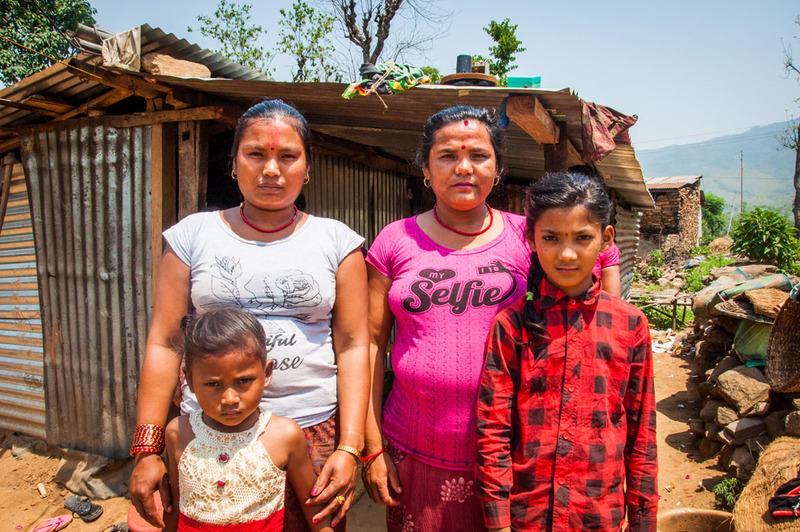 Pippa: Please pray for my ongoing language study, and also pray for developing deeper relationships with local Nepali women. I’d also appreciate prayer as I find a role for myself. Please pray that God would move me into what I can do to serve him here. Toby: Please pray for continued cultural awareness. Please also pray for a construction project that I’m managing at the Green Pastures Hospital, where a new chapel is being built. Everyone would like that to be a success for the hospital and for the people of Pokhara. 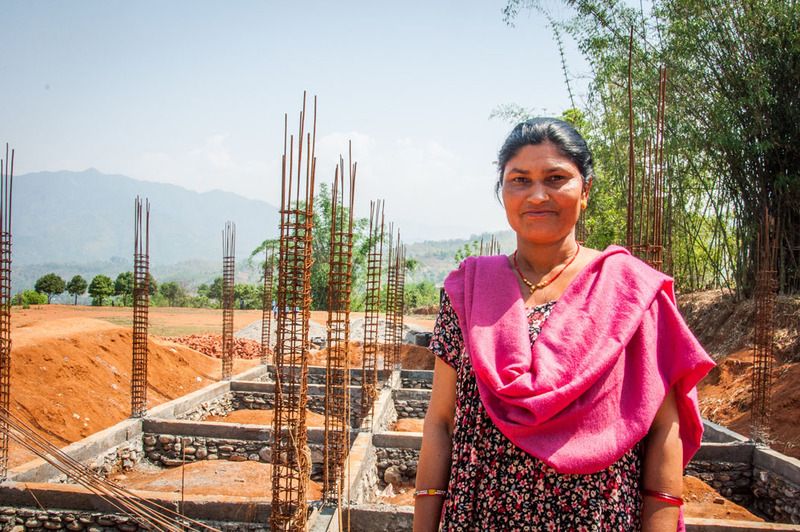 Are you inspired by the works our mission workers are doing? You can commit to giving regularly to support the Lynches or Vokuhls by becoming a 24:7 Partner. Just click here. Thank you for standing alongside them. 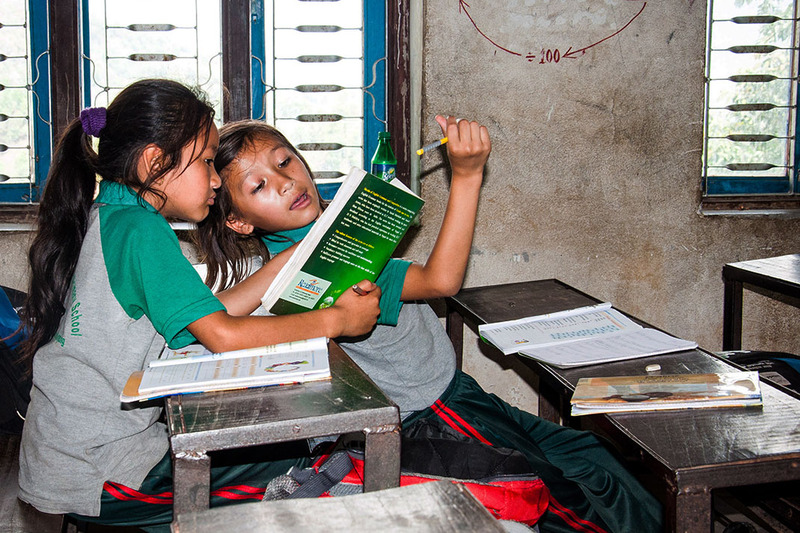 We bring you the finalists in the annual BMS World Mission Action Team photo competition. 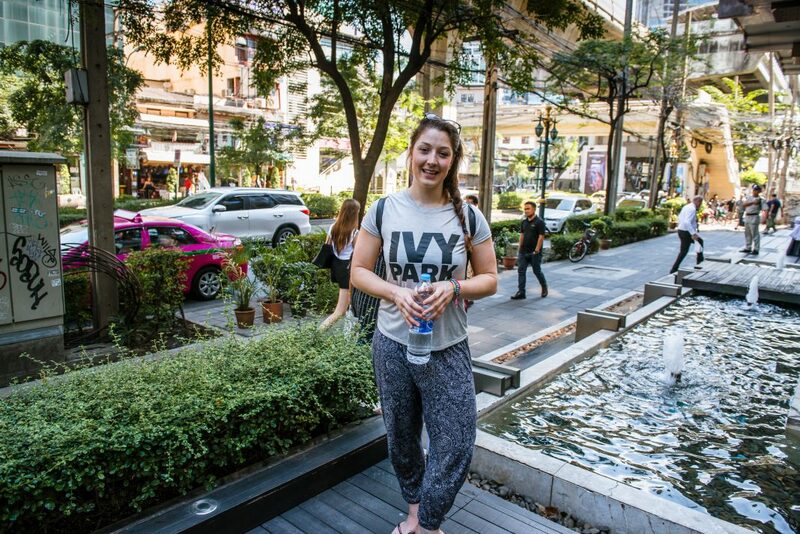 Be warned, you’re about to be bitten by the gap year bug. We certainly were as we looked at the Action Team photos submitted by the class of 2017/18, though sadly most of us are beyond our gap-year years! If you know anyone who isn’t old like us and might want to do a Christian gap year in places like these, share this story with them! They could be our next crop of Action Teams. We loved judging these photos. And, after much debate (it went on for hours), we finally picked our top ten. They are beautiful. What a stunning sight this is. We adored this photo of the Annapurna Himalayas the moment we saw it. 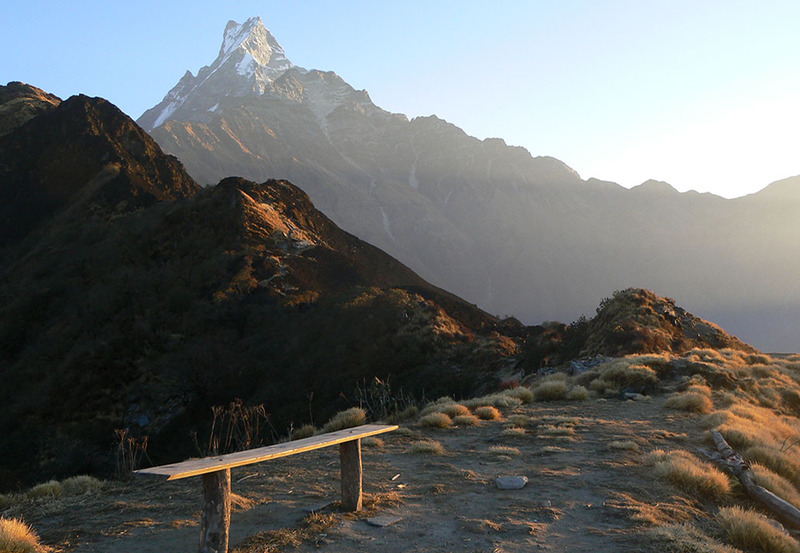 Rachel Paton will never forget this view from a five-day trek in the Annapurna Himalayas. This candid shot of a woman smoking a cigarette was taken when the Nepal Action Team were visiting a temple. 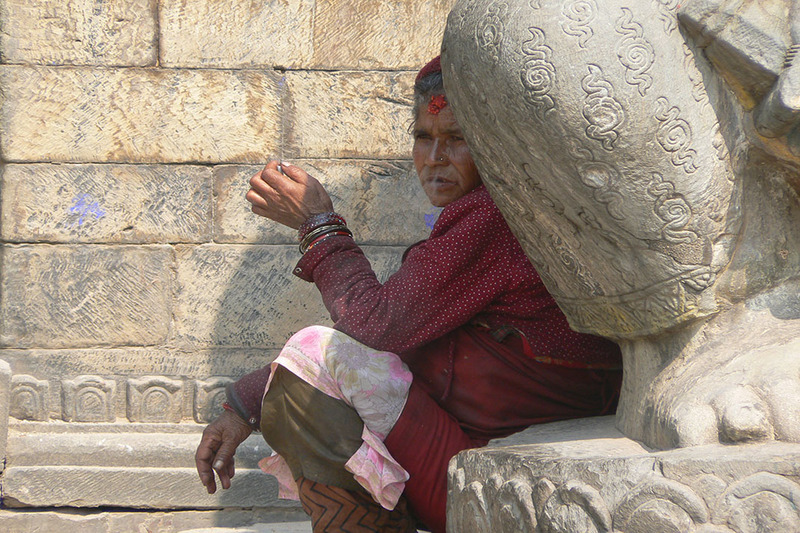 This woman was begging at the foot of a temple staircase in Bhaktapur, a town east of Kathmandu. And then for a moment, she retreated behind an enormous stone statue just as Rachel Paton took her picture. “She seemed to be hiding; weary, perhaps, of being visible but often ignored by so many people passing by,” says Rachel. 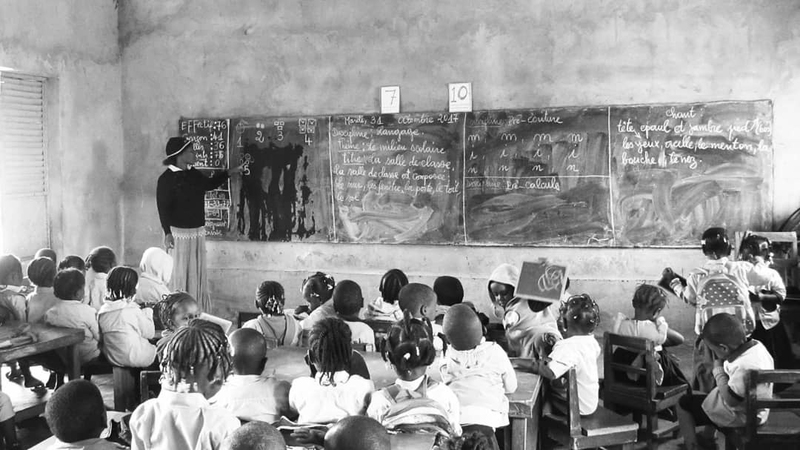 Children fill a classroom in Guinea, though just like in classrooms around the world, concentrating all the time is not possible for every child. 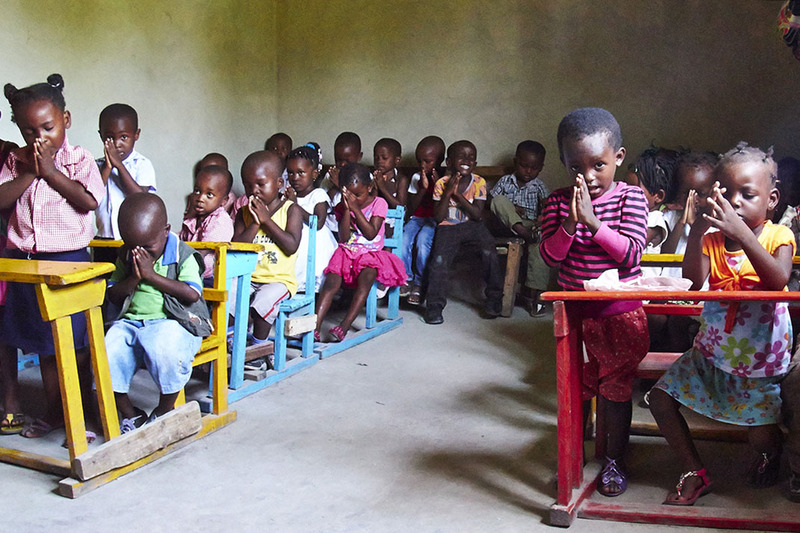 There are over 80 young children packed into this preschool classroom in Guinea. Teaching assistant and Guinea Action Team member Eleanor Hyde found space somehow to take this photo of the children’s eagerness to learn. This picture from Nepal captured our attention because of its beauty and the sense of tranquillity. 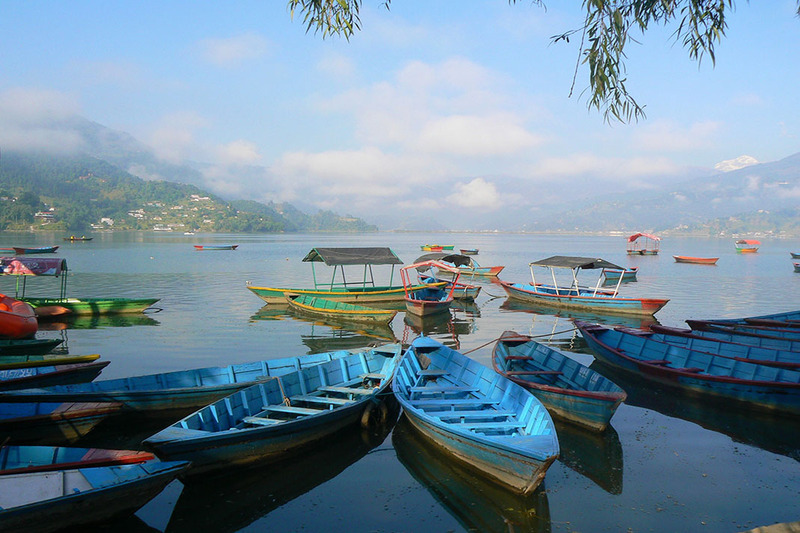 The serenity of Phewa Lake in the Pokhara Valley was captured by Rachel Paton (she really did take a lot of great photos! ), with its stillness contrasted by what was happening behind her. 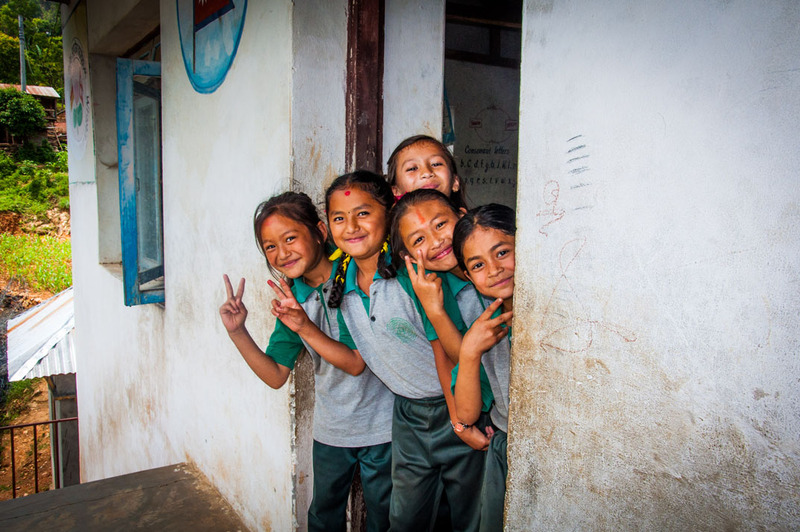 It is play time at a Nepal school, with these young children having the time of their lives. 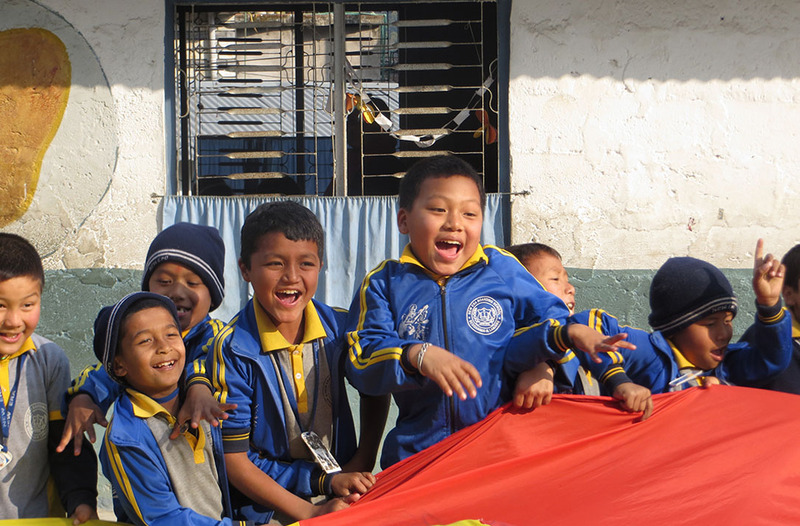 Children couldn’t contain their excitement when this parachute was brought out at a rural school in Nepal. And Action Teamer and gifted photographer Rachel Paton was there to capture the joy. “We had to work hard to convince them that this particular parachute was not to be used for flying, just for playing with on the ground!” says Rachel. 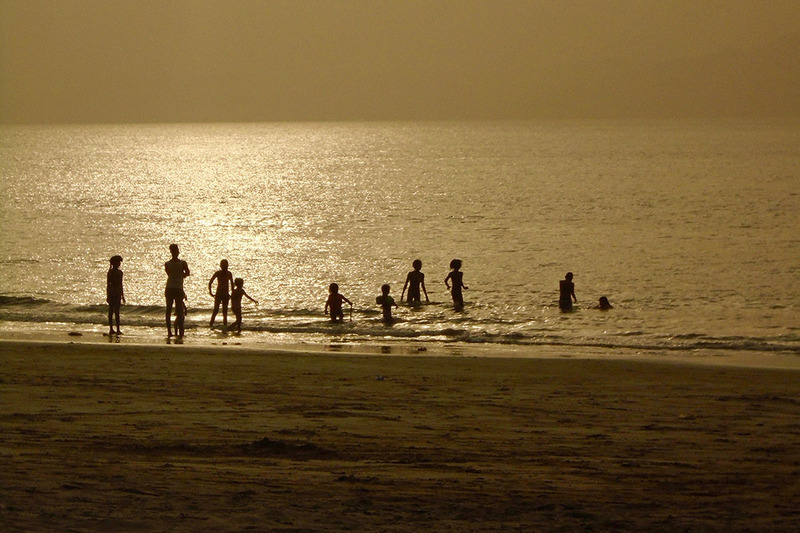 Children on a small island off the coast of Guinea head into the water in search of fish to catch. Guinea Action Teamer Mhairi Cole was on a small island off the African nation’s coast when she saw a group of children being given a fishing lesson. This adorable scene during a game of hide-and-seek was captured in Mozambique. Who doesn’t love a game of hide-and-seek? The children Action Teamer Rhiannon Cleghorn met in Mozambique clearly do. 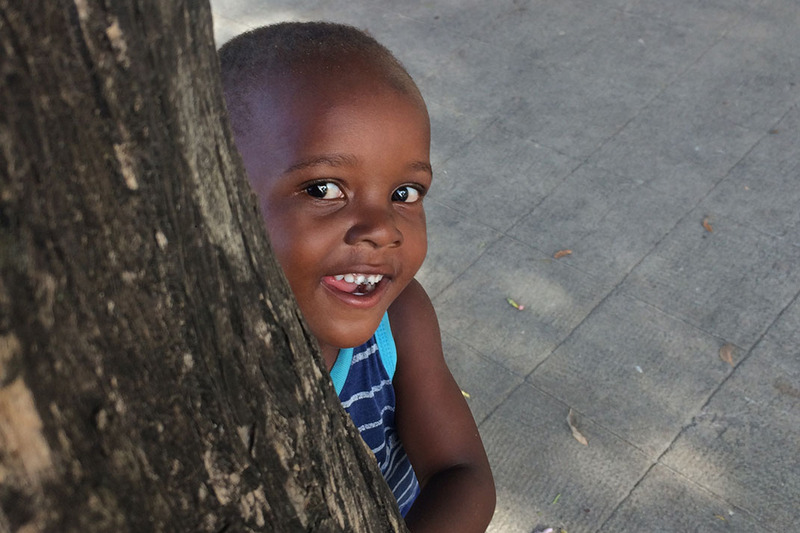 And though this boy had only trees to hide behind when Rhiannon was playing, it meant an adorable photo of him could be taken. Along with great need and a history of conflict and colonial oppression, Mozambique has glorious beaches enjoyed by local people every day. They are even more stunning as the sun sets, as this image shows. 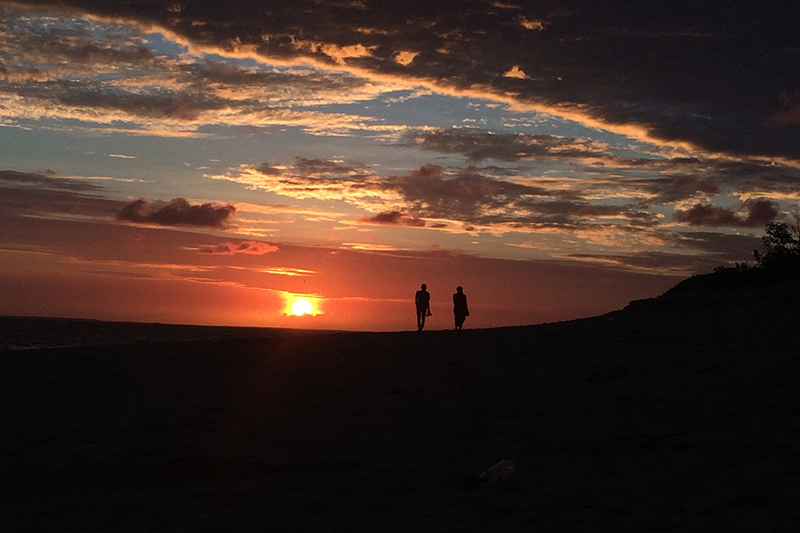 Living by the coast was one of the biggest blessings for the Action Team in Mozambique, says Rhiannon Cleghorn. 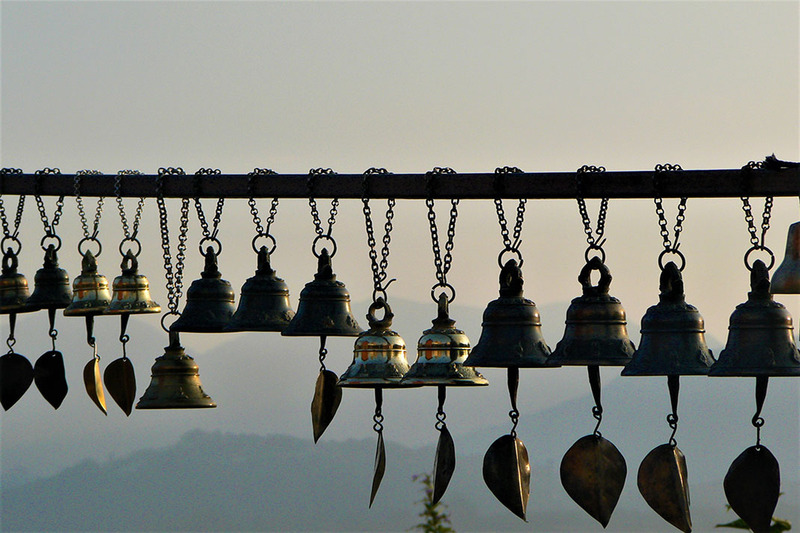 These prayer bells in Nepal were wonderfully captured with the contours of the valley in the background. This is a photo that makes you want to stand where photographer Rachel Paton did. She took this photo at the iconic Buddhist temple, Swayambhu, which is on top of a hill in the Kathmandu Valley. “We were up there as the sun was setting, and the evening light striking this row of bells caught my attention just before we started to head down,” she says. 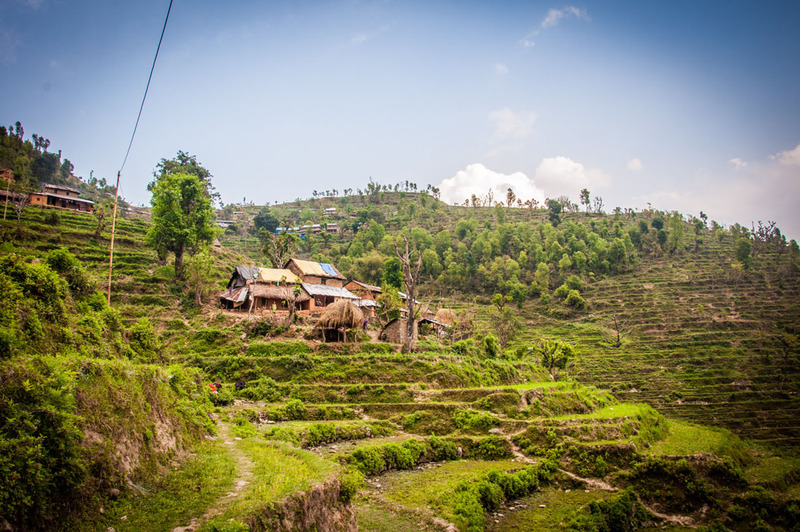 This photo, taken in Nepal by Rachel Paton, caught our attention straight away. What a striking photo this is, and an obvious first place in this year’s Action Team photo competition. It was captured in Nepal by Rachel Paton (who else?! 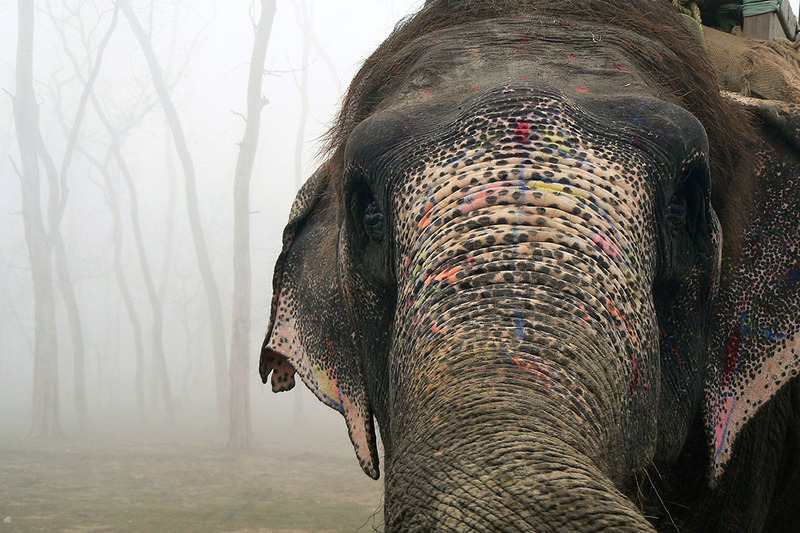 ), and shows the beauty of God’s work in the form of this majestic elephant, Mayabhati. Congratulations not only to those in the top ten, but to everyone who submitted a photo. You’ve inspired, moved and challenged us, and reminded us all of how magnificent God’s creation is. Do you know a future Action Teamer? Our Action Teams programme is one of the best Christian gap year programmes out there. If you know anyone aged between 17 and 23 who wants to serve God overseas then encourage them to get in touch with us today. You never know, they might just make next year’s photo competition top ten! Here are some of the ways you’ve helped people in desperate need this year. A tarpaulin. A plastic groundsheet. Some thermal underwear. Did these items make your Christmas wish list? You’ve given these – and other great gifts – to people in desperate need this year. You’re providing a lifeline for Rohingya refugees fleeing violence in Burma (Myanmar), and keeping hundreds of people warm in the harshness of a Ukraine winter. As you wrap your presents and prepare for Christmas, consider this our thank you note for what you’ve already given. 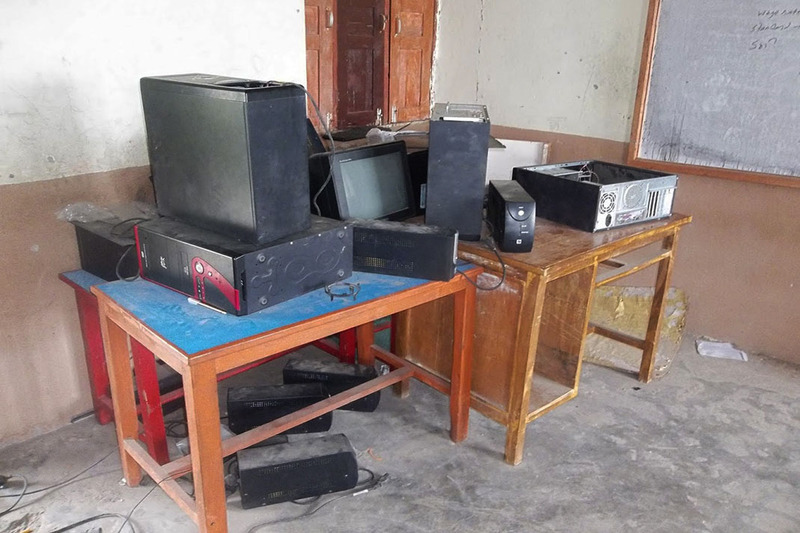 And a reminder of the suffering you’re helping to alleviate, in Jesus’ name, every time you give to BMS World Mission. 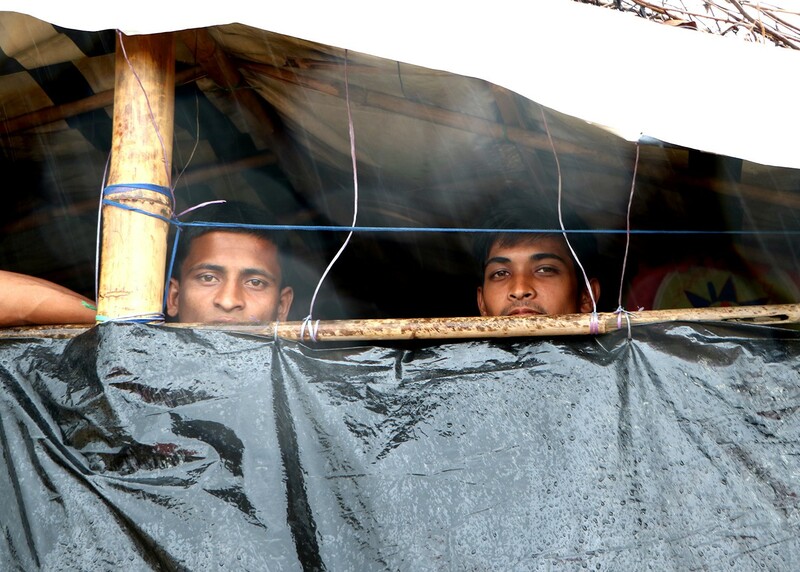 Vital aid is reaching refugees in Cox's Bazar, Bangladesh, thanks to your donations. Photo by Medair/Nath Fauveau. The Rohingya people have witnessed their loved ones being raped, beaten and executed, and their villages reduced to ashes in a brutal military offensive. The scale of the terror inflicted by Burma’s soldiers is unimaginable, as is the exodus of those being targeted. More than 650,000 Rohingya refugees have crossed from Burma’s northern Rakhine State into Cox’s Bazar district in southern Bangladesh since August. 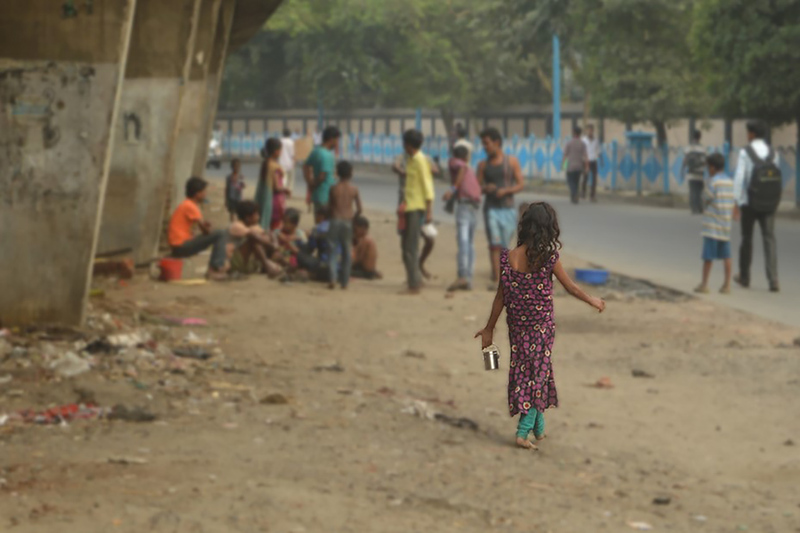 Hundreds are still crossing every day, many of them children who have run for their lives. How you are helping: By giving to BMS you’re helping more than 500 refugees. They arrive at camps exhausted, hungry and traumatised. They have next to nothing. The tarpaulin, ground sheet and stretch of nylon rope you’ve funded for these refugees are providing shelter. Thanks to you, Rohingya people have protection from the elements, and women can maintain their dignity thanks to hygiene kits containing sanitary products. People will also receive soap for washing and laundry, as well as a cup and a three-litre water jug. The conflict that erupted in eastern Ukraine in 2014 between pro-Russian separatists and pro-Ukrainian groups has displaced 1.5 million people and killed at least 10,000. Government pensions and social benefits have been stopped for people living in areas under separatist control, while schools and hospitals have also had their funding halted. How you are helping: The temperature in eastern Ukraine is expected to drop to -7 degrees Celsius early on Christmas Day, and it could drop as low as -28 later in the winter. 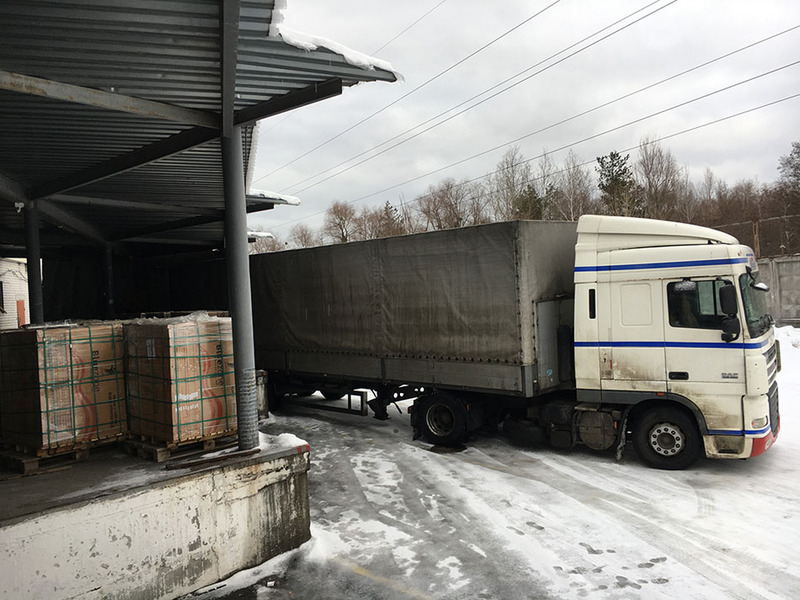 You’re providing over 1,000 people with coal, firewood, ceramic heaters and wood burners so they can survive, and children are being given thermal underwear. Rachel Conway-Doel, our Relief Facilitator, talks about the crisis in Ukraine and what you can be praying for. Lebanon continues to host the highest concentration of refugees per capita in the world, with an estimated 1.5 million Syrian refugees and over 15,000 people from Iraq living there. 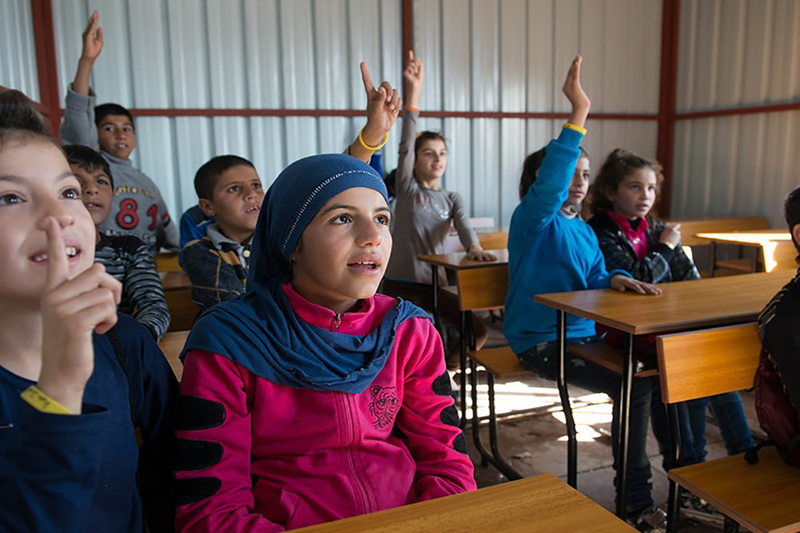 Close to half of the Syrian refugees in Lebanon are children. How you are helping: You’ve already helped dozens of children who have had their access to education shattered by conflict, and that support continues. Thanks to your giving, at least 30 more refugee children are being taught English, Arabic and maths this school year, and doing what every child has a right to do – play. 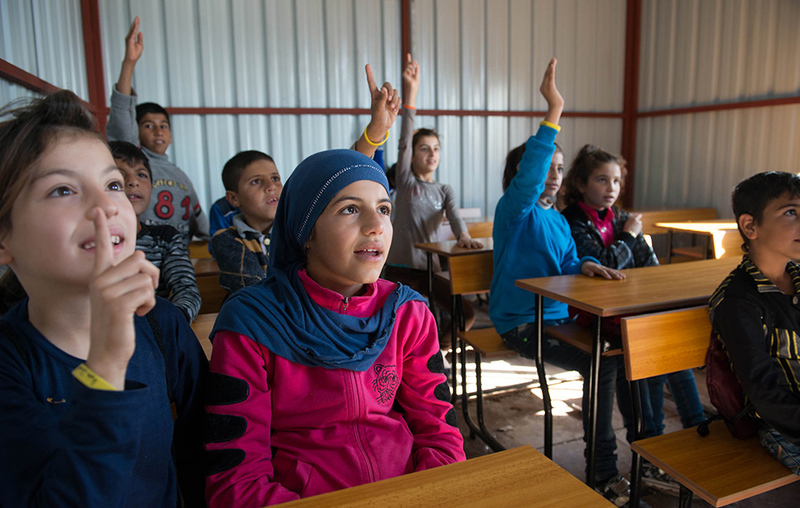 Refugee children in Lebanon are being given an education thanks to you. 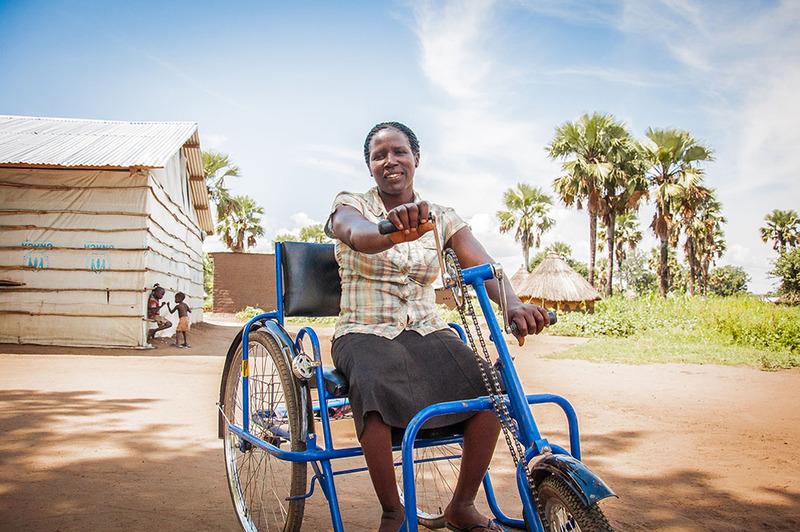 Your support this year has been amazing – look at what else you’ve done! 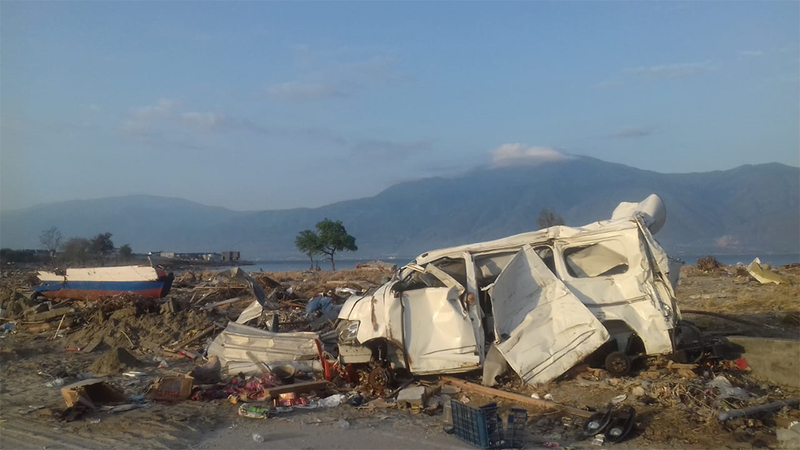 Mozambique — You gave food to 1,000 people affected by a fuel tanker explosion in Mozambique. Haiti — You helped provide cholera prevention and treatment through water filtration after Hurricane Matthew. 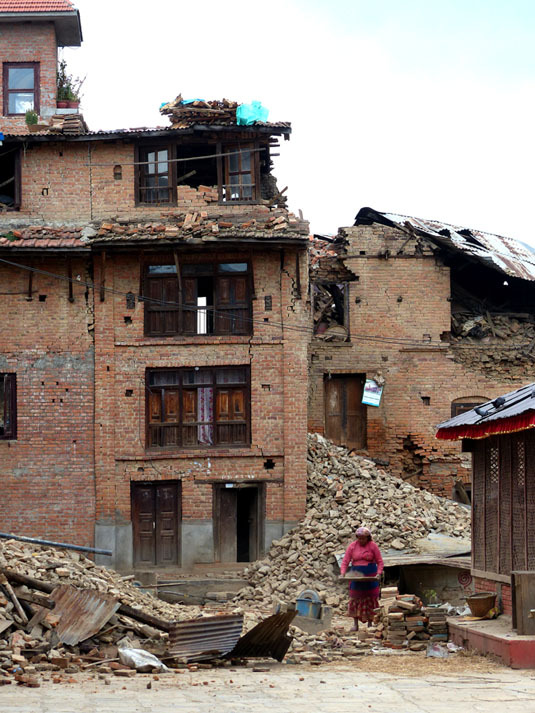 Nepal — You provided food, blankets and medicine to more than 1,100 people following severe monsoon flooding. Philippines — You helped to give medical check-ups and disaster training for community leaders following July’s earthquake. 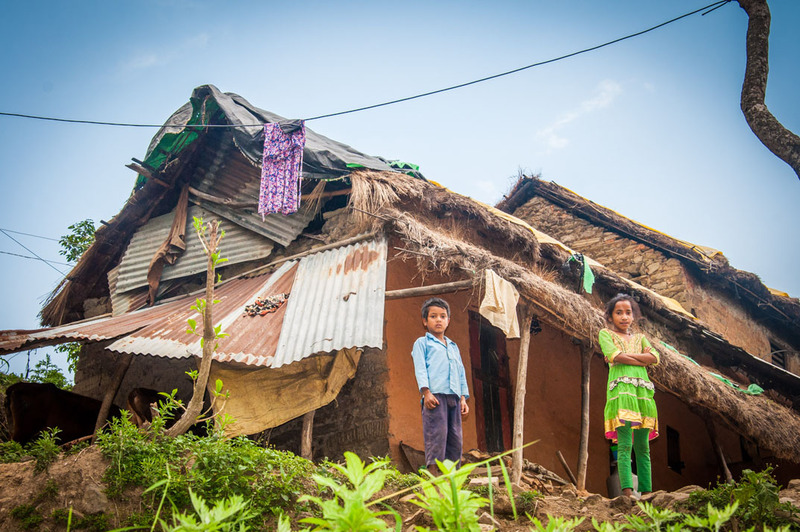 Bangladesh — You helped to fund the rebuilding of 50 family homes destroyed by landslides in June. South Sudan/Uganda — You gave food, tools and seeds to over 1,000 South Sudanese people in danger of starving. No matter how much you gave this year, you made a difference. People you will never meet have been fed, sheltered and comforted thanks to your kindness. We thank you for all that you have done, and can’t wait to see what we can achieve together in 2018. Happy Christmas from all of us at BMS.